Ok, let's get some basics out of the way. 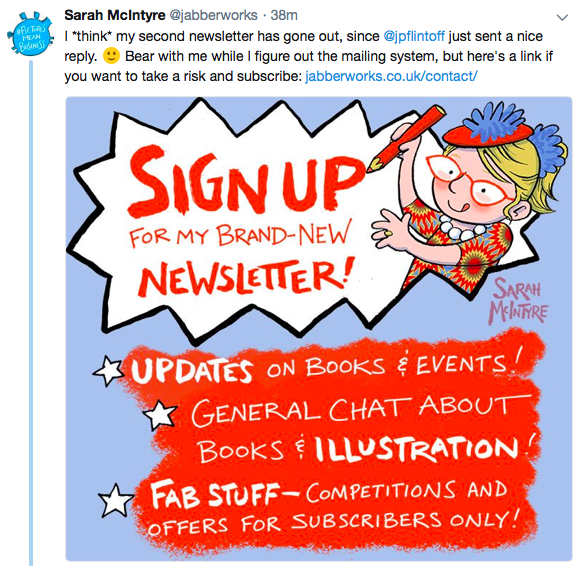 Do you need to build an author newsletter list? Answer: if you want to be more in control of your future success. Then Yes. You may read elsewhere that this is a simple and speedy process. I have never found that to be the case and I've worked in email marketing for a very long time. So, expect to put effort and time into this. It is worth it. I have used email marketing throughout my career to sell subscriptions, book delegate places at events, encourage entry into awards and drive traffic to websites. Most industries use email marketing at the core of their businesses. The book industry has taken its time to catch up. But with the success of BookBub et al they are waking up to the opportunity. 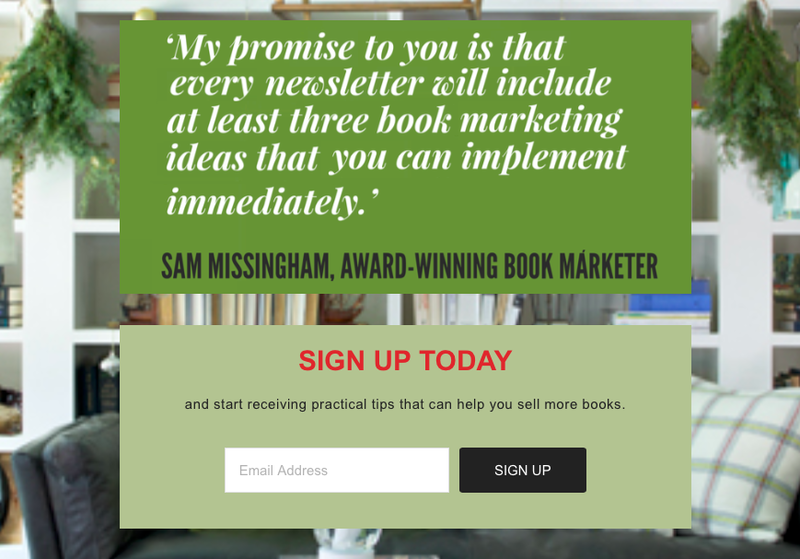 I implemented the email marketing strategy at HarperCollins UK and we sold thousands of books from a standing start. I also launched Lounge Books last year with a newsletter and have sold nearly 1500 books. In other words, email marketing sells books. And in very simple terms, the more emails on your list, the more books you'll sell. The very top line benefit of building your own email list is having the opportunity to build a relationship with readers and potential readers. No booksellers or online retailer will share reader information, so this really is the only way you can ‘own’ this relationship. Right, I hope I've convinced you of the value of building an email. So, where do you start? I shall assume that you have an email management system set up, I use Mailchimp for Lounge Books and Lounge Marketing and find it very user-friendly (& it's free up to an email list of 2000). But there are other options, although I can't personally recommend them (but I suspect they all do roughly the same job). An email management system is a platform where you store your email database and where you can build your newsletter and then send it. I would recommend you choose the first option as the main drive to build your email list, but offer the other two across your website and channels. So, you have set up the mechanism for people to provide their email addresses, you have a reason for them to do so (as above) and now you need to broadcast this to the widest possible audience. 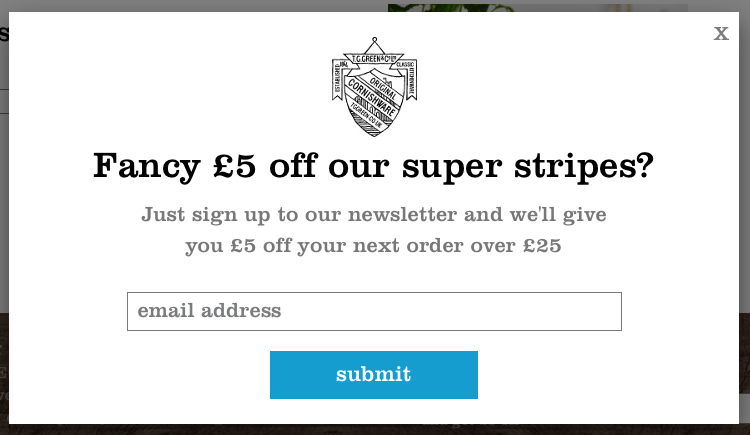 The wider you can market your newsletter sign up options the better (remember only a small % will actually sign up). 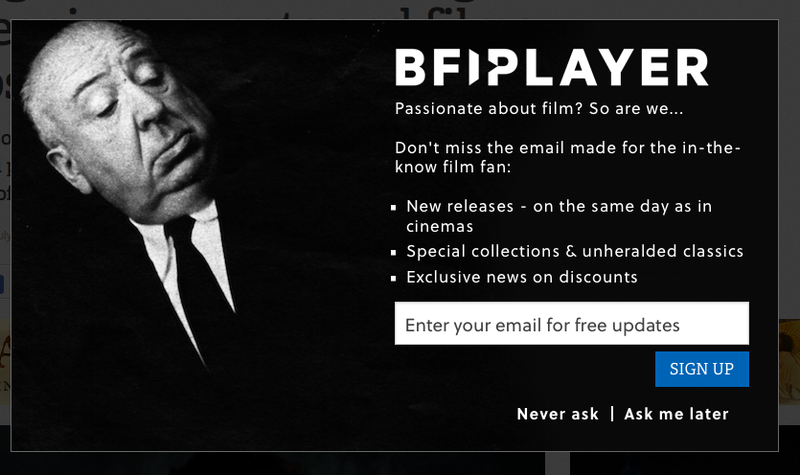 This is an incredibly easy way to drive people to your newsletter sign up. 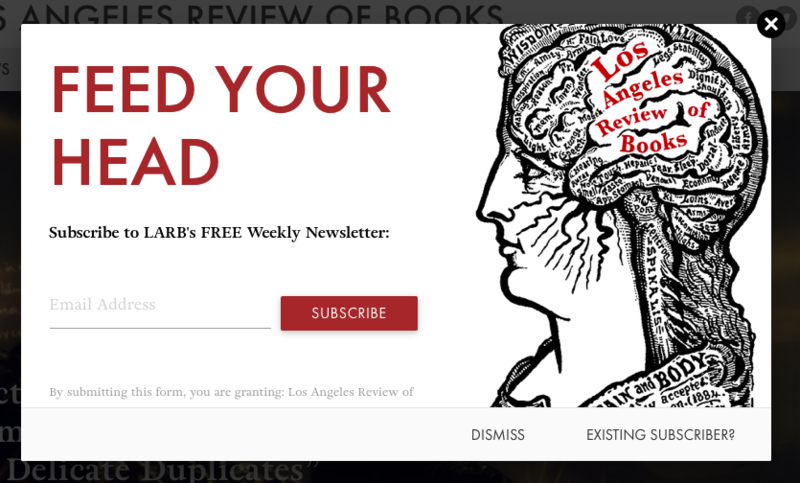 Put ads in the front AND the back of your books that drive to one of the sign up options above (again going to the something free options will give you the best conversion rate). 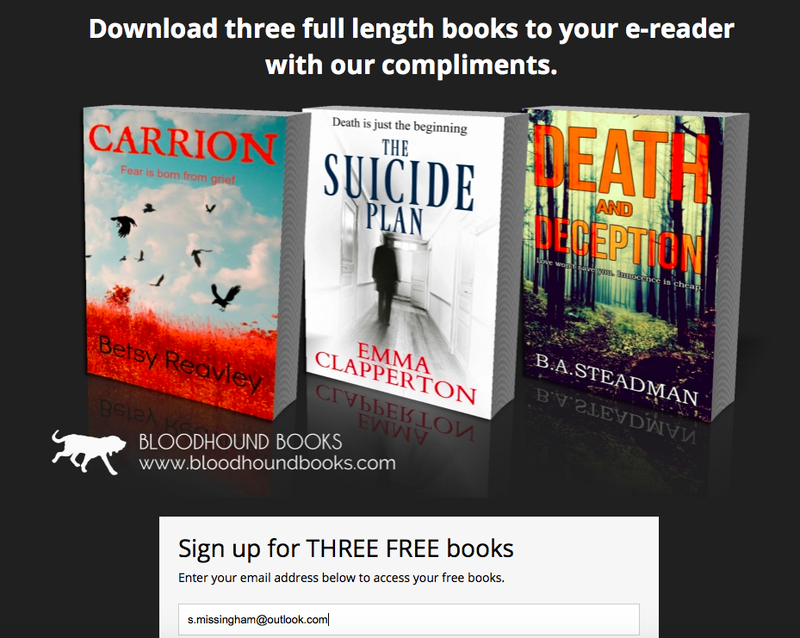 You price one of your books at free (first in series makes sense), you have ads in the front and back that encourage newsletter sign up, preferably by offering something else free (NOTE: you will need to have 2 things to giveaway for free). Then promote the hell out of your free ebook - the more people who download it > the more people will sign up to your newsletter. To maximise the efficiency and keep conversion as high as possible, I would recommend you set up a specific landing page with your offer. 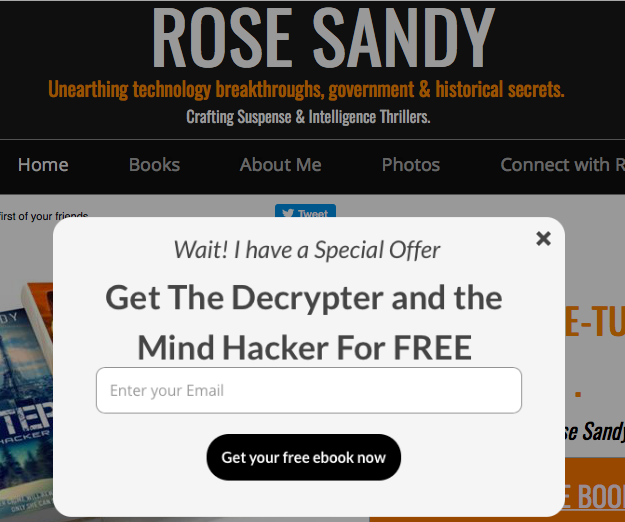 You can do this by adding a landing page to your site that isn't visible to general visitors. You can then measure effective of this. (There is a huge amount of information about and here, so do read more). I would recommend you encourage sign-up front and centre on your website, also on as many pages of your site as possible. Put a subscribe button somewhere very obvious. Often these are hidden somewhere on the page. You do not want people to have to hunt for it (because they won't). 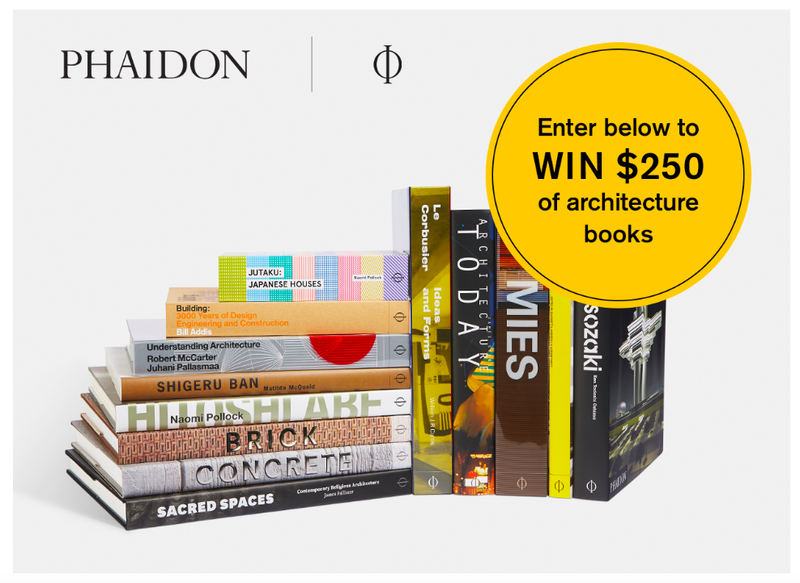 I have these sign up boxes on every page of my website, Lounge Books. You should too. Or add small buttons that direct to your sign up page. You can dot these all around your site and content. You definitely need a dedicated sign-up page on your site that has a unique url. The reason for this is so that you can link to it through any other channels. You can then use that url to drive people directly to sign up without distracting them with other content. 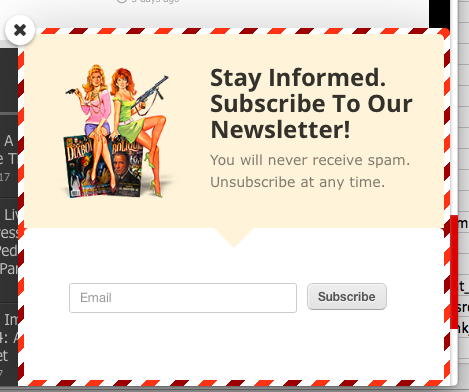 These are ads that pop up over your web pages encouraging newsletter sign up. (You can do these pretty easily on Mailchimp and the provide a small amount of code that you can embed in your home page). Here are some creative examples of pop ups. Add the newsletter sign up url into your social media profiles. 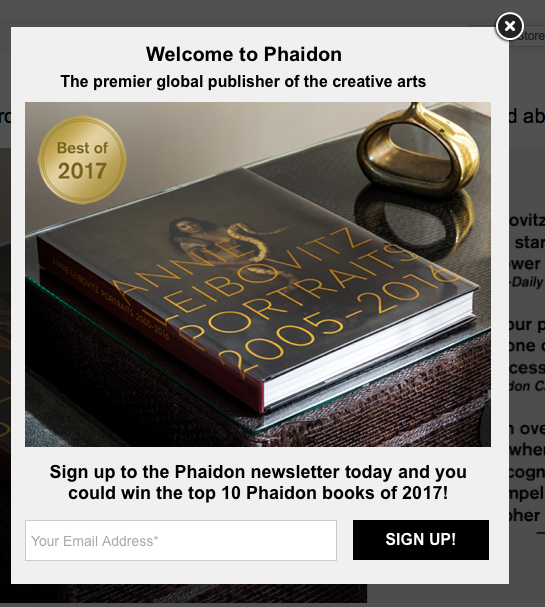 Why send them to your home page, when you can send them straight to your newsletter sign up? Always have your newsletter sign up in your pinned tweets and updates. It will be the first thing your followers see. Within the copy of each of you blogs add some information about your newsletter, linking to sign up. They've read your blog, they're interested in what you have to say. There are many options of paying to promote your newsletter sign ups, which I will cover another time. Be sure to do all of the above to get the ball rolling. All success to you.